Need some time to slow down? 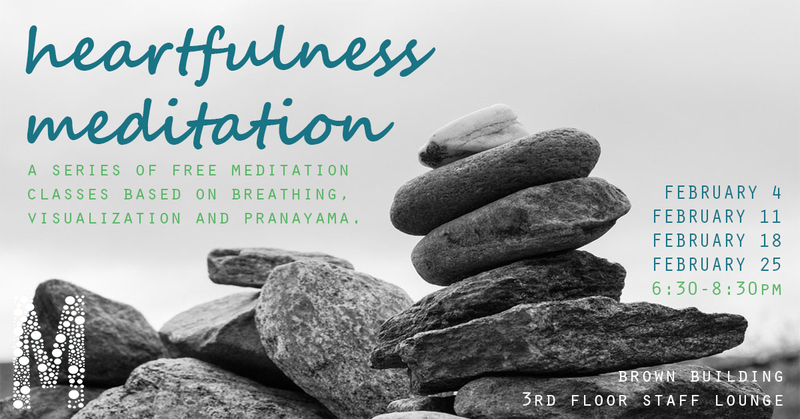 Join MORSL for a free series of meditation classes based on breathing, visualization, and pranayama techniques. We invite you to relax and re-harmonize the body using guided meditation, mantras, and melodic instruments. Weekly sessions will be led by experienced practitioner Vidura Groulx, a volunteer from the Montreal Sri Chinmoy Centre. Following the introductory session on January 21, we will be offering a four-session sequence each Monday in February. Since this series involves a progression, attendance at each session is recommended. Sign up to reserve your spot! Registration is already open (places limited). Vidura Groulx, a volunteer from the Montreal Sri Chinmoy Centre, has been meditating since 1971, and offers meditation classes in both of Canada’s official languages. He is an avid runner and excellent singer. He is also a member of the ‘The Pavaka Ensemble’, a music group dedicated to arranging the songs of Sri Chinmoy. The group frequent performs at various meditation classes throughout eastern Canada. Vidura is also a founder of ‘Harmonic Vibrations’, in which singing bowls, gongs and a variety of melodic instruments are used to relax and re- harmonize the body. Some of these will be utilized in the classes.